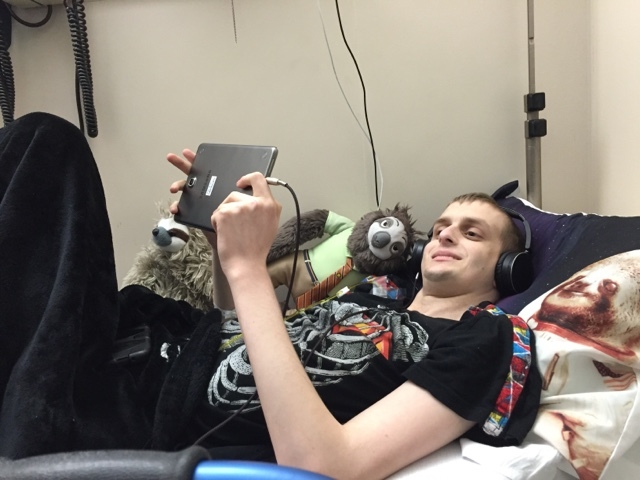 Robbie and the sloths are watching anime during chemo. 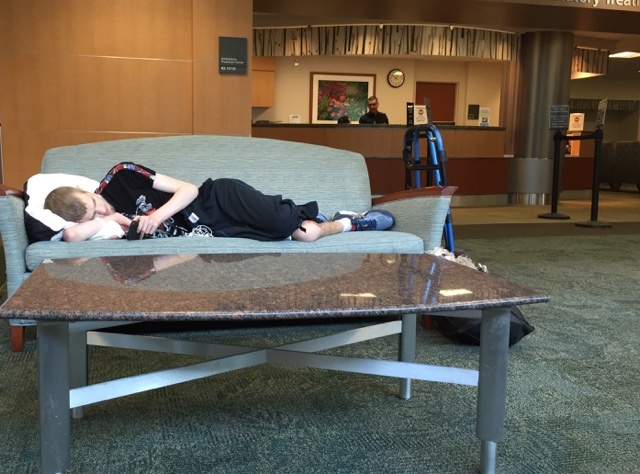 Robbie has started round 9 of chemo today. He has a fantastic nurse!! For round 8, we had a lot of problems with his nurse being untrained to give chemo. She didn’t use gloves…asked me how to do his chemo…scary. I let Dr Ratan know my concerns and we are back to the usual great nursing staff today. She is really good with Robbie, so he is doing much better too. Other nurses have stopped by to check on him too. The chemo drug Methotrexate will run for 4-5 hours and then he will have bloodwork done to check to see if they have the desired levels.